Patents are as often the source of lawsuits as they are protectors of intellectual properties. Companies fight tooth and nail to keep their most precious patents, but sometimes it’s not entirely up to them. It appears that Qualcomm might be forced to share some of its patents, according to a recent federal court ruling reported by the Verge. 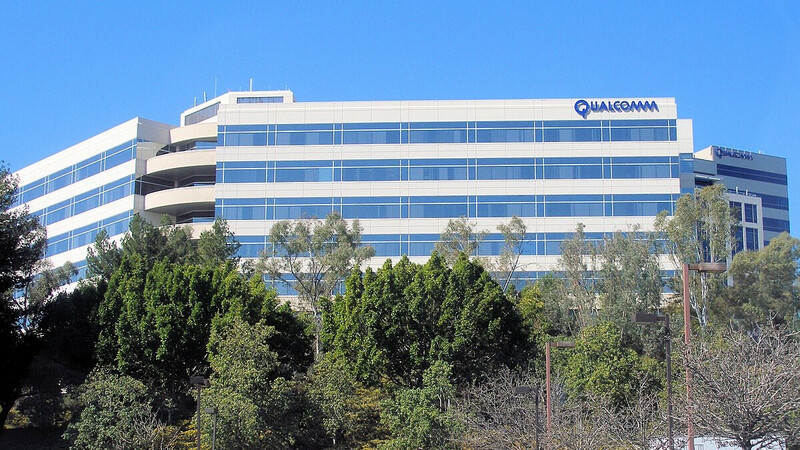 The ruling is just a preliminary one and it’s only a small part of a large scope lawsuit against Qualcomm filed by the Federal Trade Commission in 2017. The lawsuit is meant to determine if Qualcomm leveraged its intellectual assets to keep its position as the leading smartphone modem manufacturer, which could be deemed an anti-competitive practice and thus illegal. While this is yet to be decided upon, the court that’s handling the case did rule that Qualcomm has to start licensing its standard essential patents to whoever wants to use them, including its biggest competitors: Intel and Samsung. Not doing that would allow Qualcomm “to achieve a monopoly in the modem chip market and limit competing implementations of those components.” the court explained. Standard essential patents cover technologies that are fundamental for the workings of modems. A good analogy would be if a car manufacturer, let’s say Ford, held patents for the engine’s cylinders and pistons, forcing competitors to either use engines without cylinders and pistons (such do exist, but have many drawbacks) or pay Ford fees so high that their product isn’t competitive anymore, making it cheaper to just buy engines from Ford, the de facto monopolist on the market (in this example). This is roughly what Qualcomm is doing with modems, allowing companies to use its technologies if they agree with its terms (usually that means buying Qualcomm chips) or pay expensive licensing fees. If the court ruling in question remains, Qualcomm will have to begrudgingly share its essential patents, opening the floodgates for other chip manufacturers to develop their own modems that will compete on equal grounds with Qualcomm’s. As you might have guessed, the ruling is viewed as a positive one by everyone besides Qualcomm. It will likely take months before we as consumers see any benefit from it, and that’s only if Qualcomm’s appeal of the ruling is unsuccessful. A rounded corner is intellectual property but developing actual technology is not. The patent system is completely broken and not just in mobile world. I am not defending either I just want a little consistency. Why is it so hard to understand? Is it your hate or your lack of understanding of the subject matter? This decision was made because in this situation we are talking about standard essential patents. Meaning those patents would be useless if they were not incorporated into the standard body. Part of being accepted into the standard is the promise to license such patents to others on FRAND terms. Qualcomm accepted those terms. Now that those patents are essential, they want to refrain from that promised by forcing others to buy their chips instead of licensing to others just those patents on FRAND terms to stop competition. That is basically what the court is saying. The court is simply saying to Qualcomm to honor their promised when their patents were accepted as part of the standard. That is the difference here. Apple's patents were not standard patents, meaning they did not have to license anything. I fully understand FRAND. I was making a comment on the absurdity of the entire patent system which a stupid and rounded corner and modem technology falls under. Rounded corners aren't that essential as a LTE modem in a smartphone. I hate qualcomm so I hope they get screwed in any way possible. I wish someone would step up to the plate and make worthy processors that would give them some good competition. "It will likely take months before we as consumers see any benefit from it" That isn't true; Samsung can sell phones with Exynoss chips in US starting tomorrow and postpone an eventual sales ban (if QC goes against Samsung) until the trial between FTC and QC is resolved. After that, Samsung simply pays QC the FRAND licenses (which it would have paid anyway). The big problem (for classical Android players and maybe for Apple too) is Huawei, which will take US market by storm.